They'll never spot that I'm a dog in this disguise. Oh I'm watching them, don't you worry. 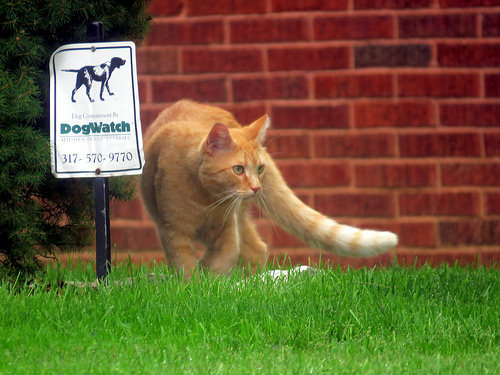 Just when Tom thought he was safe, he discovered that dogs can't read. "I've been watching that dog for bloody ages, all it does is sleep." I'm pawsitive this isn't going to end well. I didnt even know they could tell the time. "It gives me a sense of purrpuss." There were times when being green suited Winston right down to the ground.